The Getta Grip Tank Harness makes it easy to carry your air cylinder anywhere you go. Because it has “feet” you’ll always have a place to set it down without it rolling around. 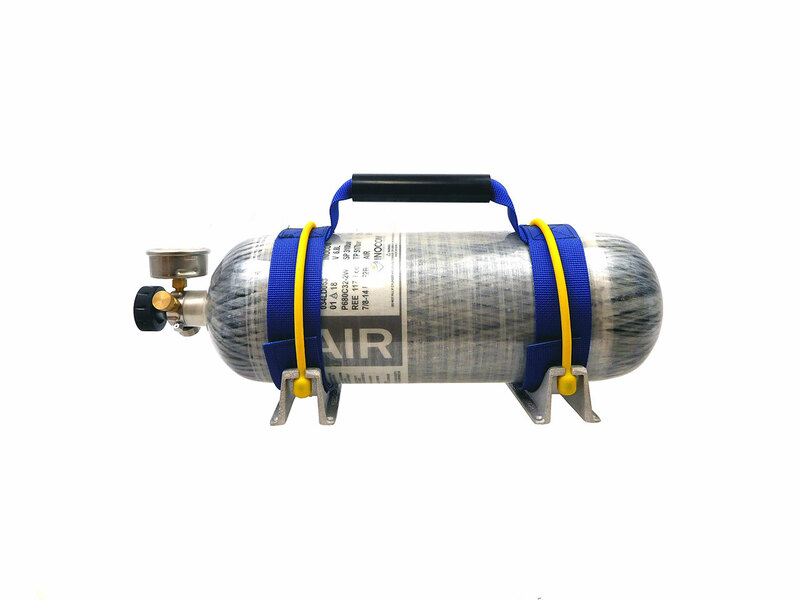 Fits any air cylinder with a diameter of 5 to 7 inches.